The Asia Mining Club invites you to a dinner featuring a presentation and Q&A with Mr. Chaochun Li, Executive Chairman of China Molybdenum Co., Ltd.
Mr. Li will provide insights into growing a global diversified mining company in the post “super cycle” world – don’t miss this unique opportunity! 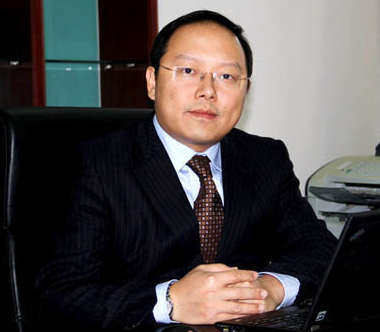 Mr. Chaochun LI, aged 40, is executive chairman of the Board of China Molybdenum Co., Ltd (“CMOC”) since January 2014. Mr. Li is the chairman of Strategy Committee and Investment Committee as well as vice chairman of Nomination Committee of the Board. Mr. Li joined CMOC as an executive director and vice chairman January 2007. Mr. Li was a managing director of investment department of Cathay Fortune Corporation (“CFC”) from July 2003 to January 2007. CFC is the major shareholder of CMOC. Before that, Mr. Li was a manager of Planning and Strategy Implementation of the China Area Office of The Hong Kong and Shanghai Banking Corporation Limited (“HSBC”) and senior consultant of Arthur Andersen (Shanghai) Business Consulting Co., Ltd.
Mr. Li holds a bachelor’s degree in international business law from Shanghai Jiao Tong University. Mr. Li has extensive experience in investment, corporate finance and capital market. China Molybdenum Co., Ltd. (“CMOC”) is an international natural resources company with a diversified portfolio of high quality, low cost, long life assets. CMOC is a world leading producer of specialty metals including molybdenum, tungsten, cobalt and niobium, and a growing large-scale copper producer as well as the second largest phosphate supplier in Brazil. CMOC, headquartered in China with management centre in United States, has mining operations and processing facilities in Australia, Brazil, China and the Democratic Republic of the Congo. CMOC is dual-listed on the Hong Kong Stock Exchange (HK3993) and the Shanghai Stock Exchange (SH603993).